Shops & services - Newtonmore, scottish highlands, monarch of the glen, highland accommodation, aviemore, cairngorm national park, scottish holiday. 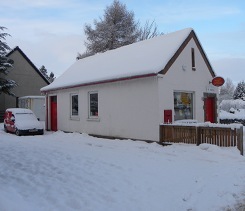 Visitors to Newtonmore are surprisingly well provided for in terms of shops and other services, though, in common with many small Highland villages, there is a little less choice than there used to be. For your day to day provisions and newspapers, we have a well-stocked Co-op and a Spar mini-market. We also have our own Post Office, with all the usual postal requisites and banking facilities as well as pet supplies & wild bird food. There are a number of shops and attractions where you can buy a good choice of good quality souvenirs and crafts, including a superb supplier of traditional Harris Tweed goods. We have our own petrol station - with car wash, hairdressers and a range of great little shops including the very popular Blytheswood Charity shop. If your car needs attention, if you'd like to try a therapy or two or if you need the services of a chiropodist or an osteopath, the skilled practitioners are all here in the village. So, whilst we can't promise to meet your every need, we can cover most of the things you might need during your stay. 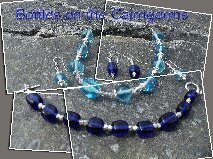 Unique handmade glass jewellery made in Newtonmore. 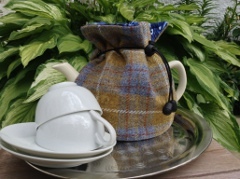 A quality range of hand made products from Harris Tweed made in our workshop that are practical and will add colour to your home or wardrobe. Bespoke ordering is also available. Open after 4pm Monday to Friday or other times by appointment. Grover Print providing some of the most economical printing in the area. 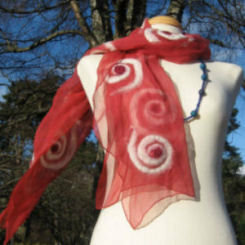 Scarves, Bags and Wood Engravings - handmade in Newtonmore. 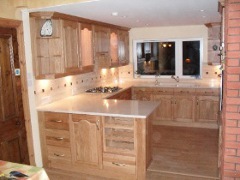 Quality bespoke furniture, custom built to clients' specified dimensions and specification. Russwood is a supplier of high-quality timber products, based in Newtonmore and delivering nationwide. Spirit of Cairngorms is the business of Newtonmore artist David Fallows, who painted the pictures for the TV series ‘Monarch of the Glen’ and for many years sold paintings through the former Newtonmore Craft Centre and Gallery. 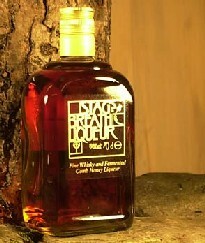 Please visit us when in Newtonmore. The Post Office offers the majority of services including express post, mobile phone top ups, cash withdrawals, international phonecards and stocks euros and us dollars at all times. Other currencies can be ordered for next day collection if placed by 1pm.